Your goal to burn 700 calories a day will help you lose one pound in five days. One pound of body weight equals 3,500 calories, so increasing your activity level to use calories is one solution on your way to weight loss. A workout to burn 700 calories is intense, so speak with your doctor before beginning any exercise program. If you are unable to complete the entire workout at one session, split it into two daily sessions. Jumping rope burns a high number of calories. According to the National Institutes of Health, a 150-lb. person burns approximately 750 calories for one hour of rope jumping. If you weigh more than 150 lbs., expect to use more calories, and, if you weigh less, you will burn a slightly less number of calories. Jumping rope is performed with or without the rope. Vary your foot patterns and jump side to side, forward and backward or out and in. 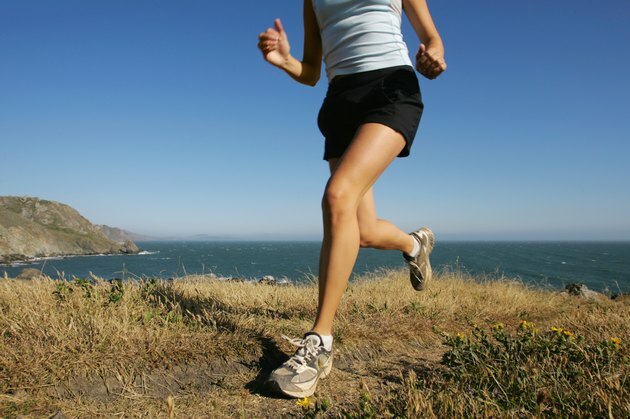 Running is another high-paced activity that burns a lot of calories in a short amount of time. A 165-lb. person running 10.9 miles per hour, or a pace of a mile in 5 1/2 minutes, burns approximately 707 calories in 30 minutes. This is a very fast pace. 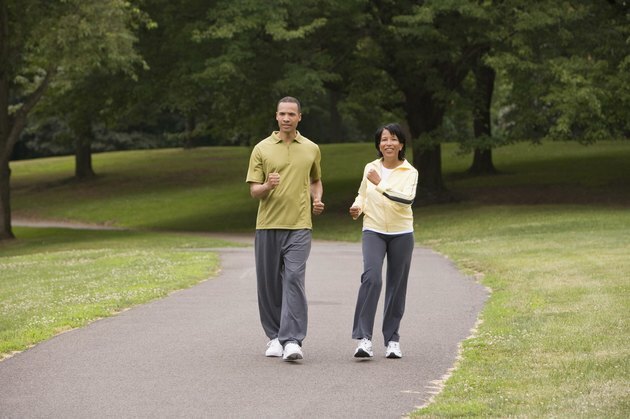 Slow down to half the pace and run 5.5 miles per hour to burn approximately 740 calories in 60 minutes. Winter activities such as cross country skiing and snow shoveling burn a high number of calories within an hour. The NIH reports that a 150-lb. person who goes cross country skiing for an hour burns 700 calories. If you live in an area that does not have snow, use an indoor cross country ski machine for similar results. Heavy shoveling, moving more than 16 lbs. in a minute, also burns near 700 calories within 60 minutes. The American Council on Exercise, ACE, recommends increasing your daily calorie usage to aid in weight loss. If you need less intense exercise, ACE suggests walking for 80 minutes to burn 700 calories if you weigh 160 lbs. Or, swim for 68 minutes to burn 700 calories. Gardening burns 700 calories if you weigh 160 lbs. and garden continuously for 105 minutes. Cycling at 10 miles per hour for 96 minutes is another way to use 700 calories if you weigh 160 lbs. Your exercise options are limitless. Choose what you enjoy and are able to do and be active every day.